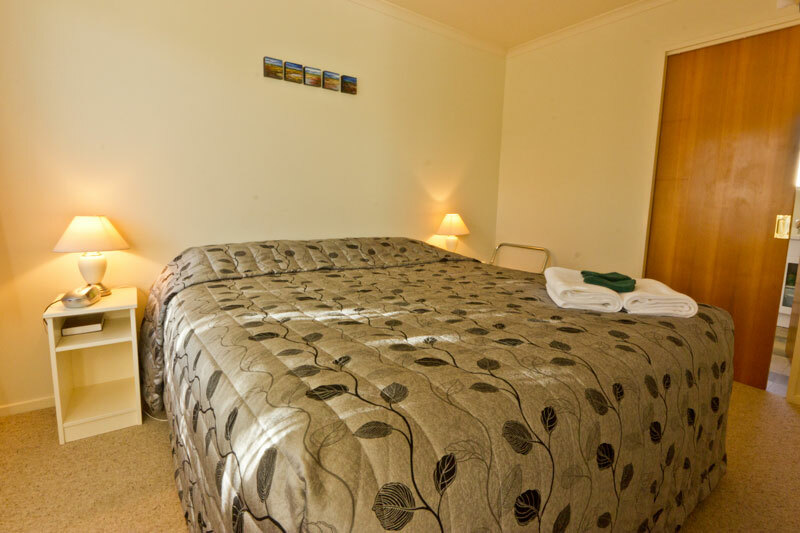 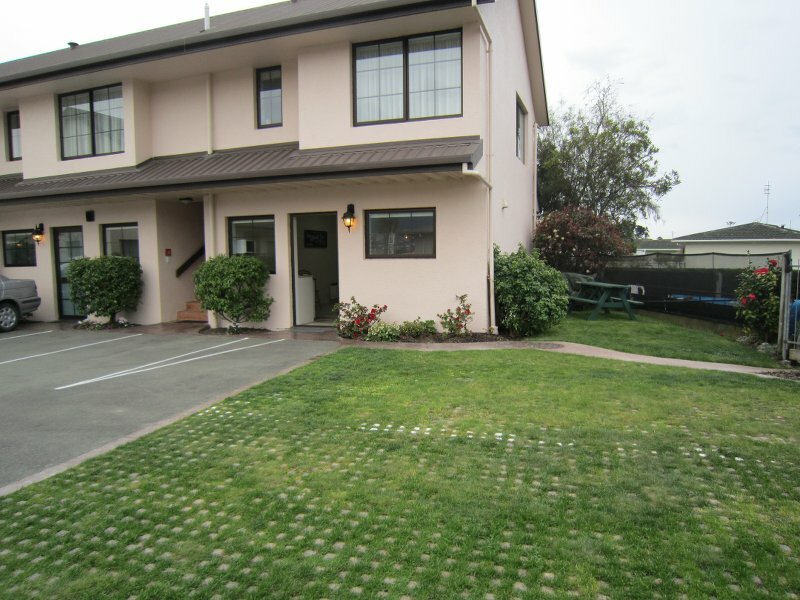 This 1 bedroom unit has a comfortable king bed (or 2 twin single beds if preferred) and an ensuite with a corner spa bath. 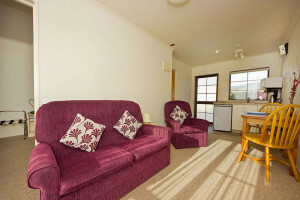 It has well-equipped cooking facilities, flat screen TV and DVD player. 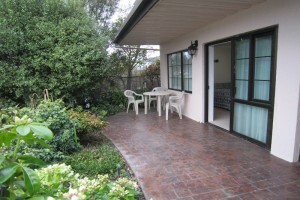 A sliding door leads to a small court yard area and is beside the pool. It is also next to a lawn with an outside table, sun umbrella and barbecue.